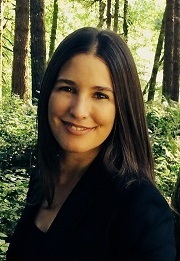 Dr. Corina Dunlap graduated with a Doctorate in Naturopathic Medicine and Master of Science in Integrative Medicine Research from the National University of Natural Medicine (NUNM) in Portland, OR. Dr. Dunlap sees patients privately at A Woman’s Time and is research and adjunct faculty at the School of Graduate Studies at Helfgott Research Institute at NUNM. Before NUNM, she received her B.A. from Smith College with an emphasis in medical anthropology and international relations. As a doctoral student, Dr. Dunlap completed extensive training in advanced gynecology and naturopathic primary care while conducting research on topics such as infertility, HPV, cervical dysplasia, interstitial cystitis, and ayurveda. As a resident, she completed rotations in pediatric endocrinology, reproductive endocrinology, gynecology, and naturopathic women’s health. She enjoys treating all aspects of women’s health with a special interest in male and female fertility, preconception, and postpartum care, overall hormone imbalances, gynecologic infectious disease, cervical dysplasia/HPV treatment, environmental health, skin conditions, adrenal and thyroid health, autoimmunity, digestive and metabolic disorders, and bioidentical hormone therapy. She is certified in Holistic Pelvic CareTM, a physical medicine modality that brings balance and tone to the pelvic floor. Dr. Dunlap is committed to providing an integrative and collaborative natural medicine approach, combining evidence-based medicine with traditional naturopathic modalities. She is recipient of the Benedict Lust Award given to a member of the NUNM community who most embodies and inspires the principles of naturopathic medicine.